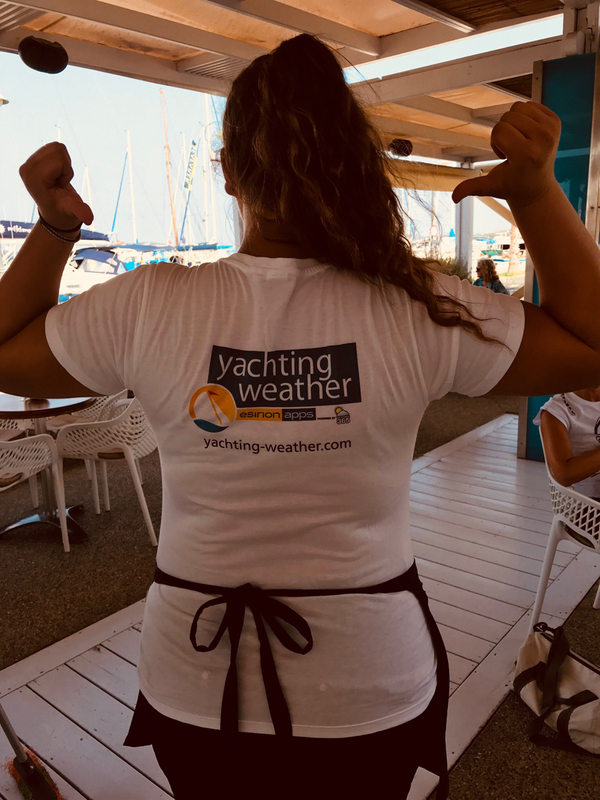 I am starting the 2nd half of my 2017 season tomorrow with a promotion tour for my Yachting Weather app. Next planned stops will be Samos, Ikaria and Levitha as well as my favorite spots. 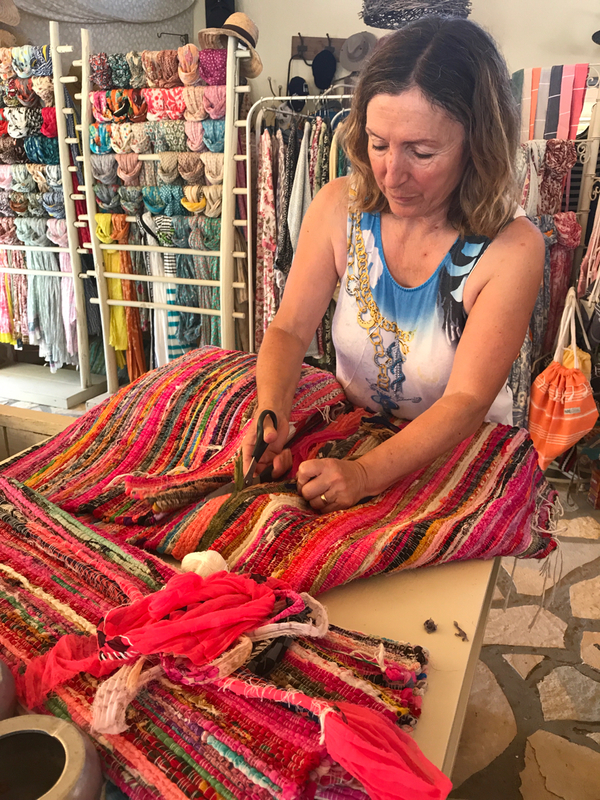 After returning to Kos marina I realized, that there must have been a severe earth movement caused either by the tsunami and/or the earthquake. Lots of cracks on the outer pantoon as well as on the main part of the marina. Some damages to the boats, mainly on their stern or when masts hit each other. On the dry dock some stands collapsed and 2 sailing boats felt aside producing some damage. Their were 2 casualties I know of by now, but none related to the marina. When I left Kos Marina on Thursday afternoon, there was no sign of the disaster, that happened the following night. 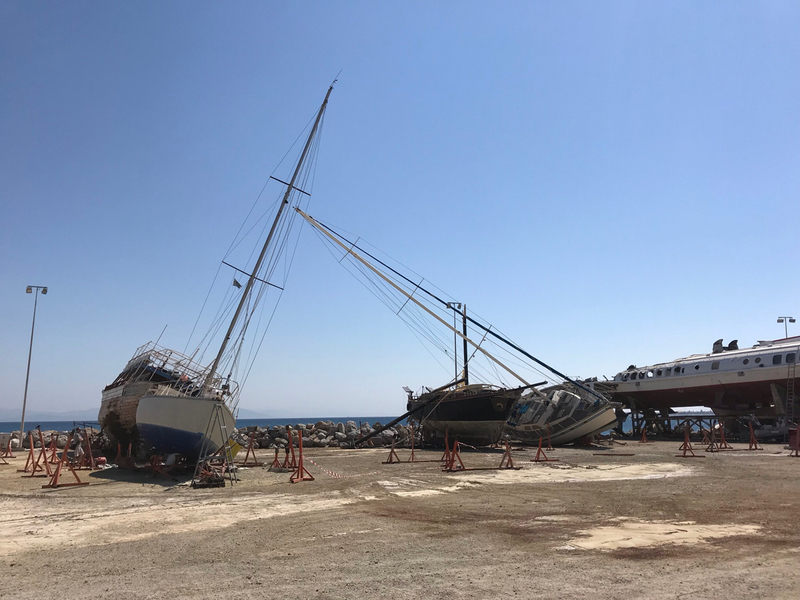 While Lady Soul was safely moored at one of the mooringbuoys from Ilias Taverna in Palionissos (Kalymnos island) there was an earthquake with 6.6 Richter just south of Bodrum, which did a lot of damage to Kos maritime infrastructure. As there is no mobile availability in Palionissos at the moment, I had to go by car over the mountain to Emporio to get in contact with the world. As far as I know by now, none of my friends were injured, but some had damages. Now I am on my way back to Kos with mobile internet and I will post a summary later. Besides sailing there are always new opportunities, today roofing together with Christos at my favorite taverna in Palionissos. 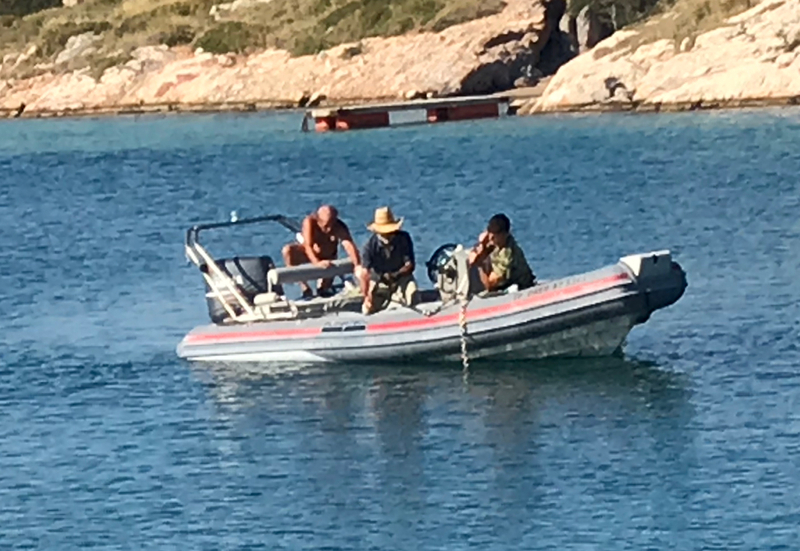 The windlass of my Austrian neighbours started malfunctioning when they came in yesterday, but Helge, my Norvegian neighbour and me paddled out with a dinghy to assist them. The motor of the windlass did not work any more. So today Manolis Trypas, a fisherman and support from the Hellenic Army recovered the anchor and chain manually. 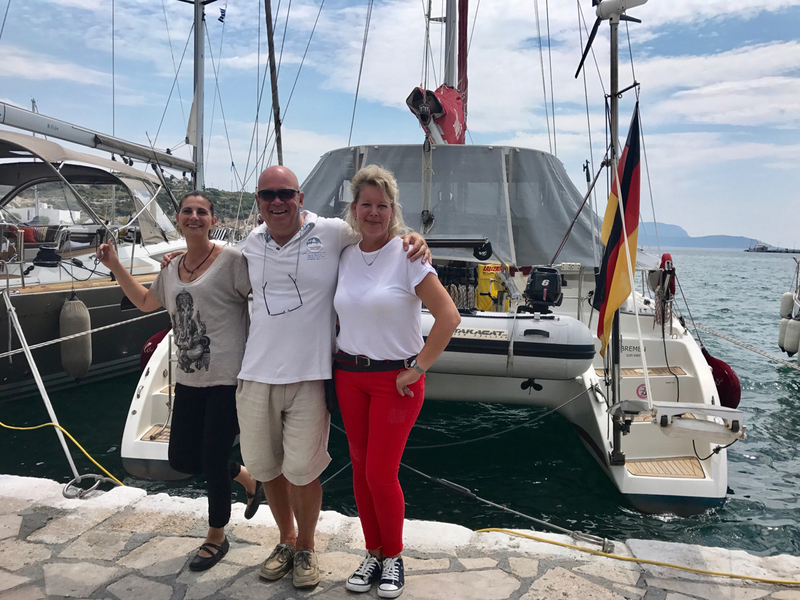 Another example of international seamanship and Greek hospitality. Back to my favorite harbour in Pythagorion. As always Lady Soul is moored just in front of Gregorys Bar, where I always get excellent service from Sanna and Poppy. The only shop in Arki has really nice small carpets on display. While relaxing in the adjacent coffee shop I liked their cushions, which are made of the carpets.